CAITLYN Jenner is considering moving to New York City. The 65-year-old former Olympian - who was known as Bruce Jenner before undergoing a gender transition - reportedly loves the "free spirit" nature of the city and is thinking about making it her home. 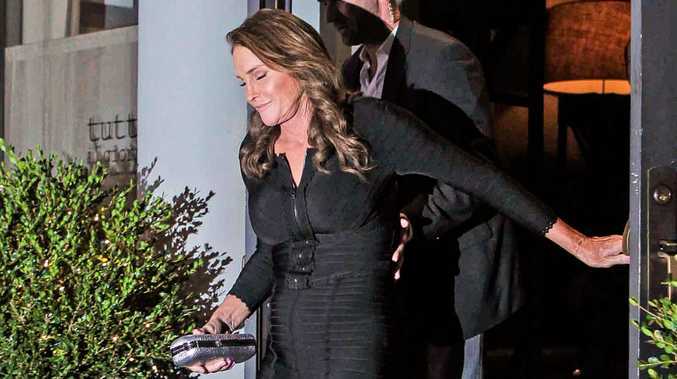 A source said: "Caitlyn feels like such a free spirit there. As much as she loves Malibu, she senses the disapproving stares of people who still see her as Bruce, and she's never been able to party or have fun there as the person she really is." A close pal has also claimed the 'Keeping Up With The Kardashians' star wants her "own penthouse" in the party city so she can "play hostess to the city's movers and shakers". An insider added: "She can't wait to explore her new identity in a new city. She sees herself spending more time in New York. In New York, she gets to ditch her beachy maxi dresses and turn up the glam. She's excited about hitting designer boutiques." Caitlyn is also believed to be keen on distancing herself from the Kardashians "drama", most recently Kourtney Kardashian and Scott Disick's split, but doesn't want the relationship between her children and step-children to be affected. The source told the US edition of OK! magazine: "That was her former life. If there's drama to be had now, Caitlyn wants it on her own terms. "Of course she'll miss the kids but they already feel like New York is their second home, and they'll think nothing of jumping on a plane to come visit."